The standard matching options can be combined in many ways to easily perform most searches, but Panorama has an even more powerful option — searching with a Boolean formula. This option allows you to locate virtually anything that can be described by Panorama’s powerful formulas. The formula is true option relies on the ability of a formula to make comparisons and true-false decisions. See True/False Formulas for a detailed explanation of true-false logic. Here is an example that shows how a formula can be used to combine both and and or operators into a single query. 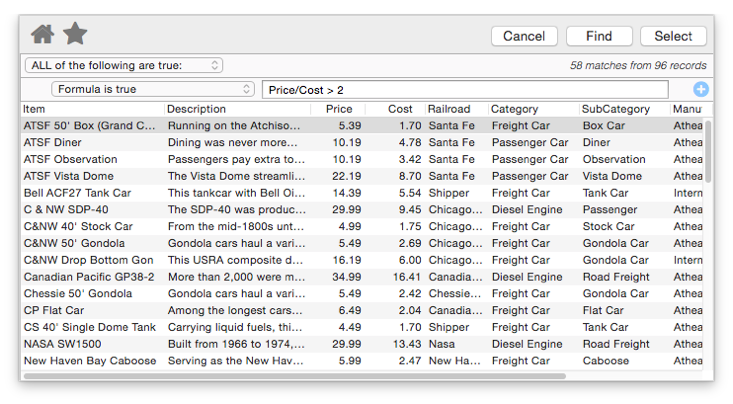 allows you to quickly locate items with high profit margins, like this. Panorama has hundreds of different functions that can be used in a formula to perform very specific selections. 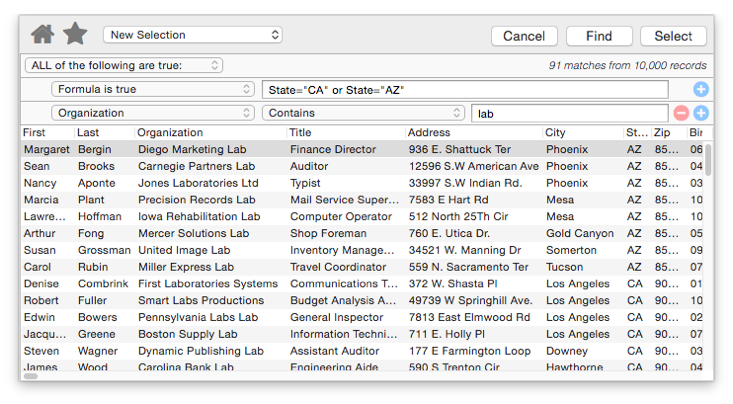 Select (State = "CA" or State = "AZ") and Organization contains "lab"
You can even combine multiple formulas in different rows. 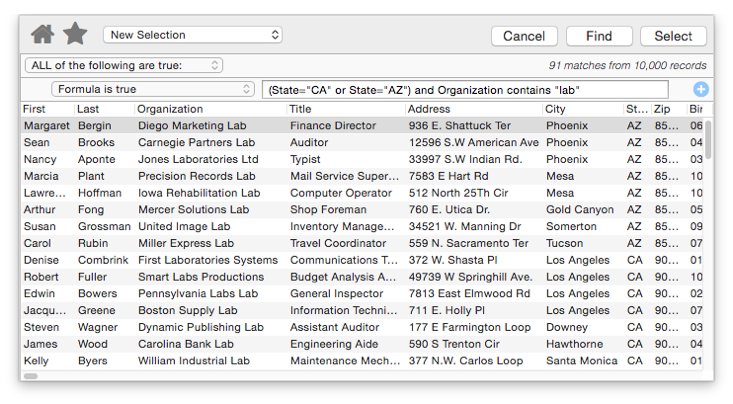 You can intermix formulas and standard search options in any combination.